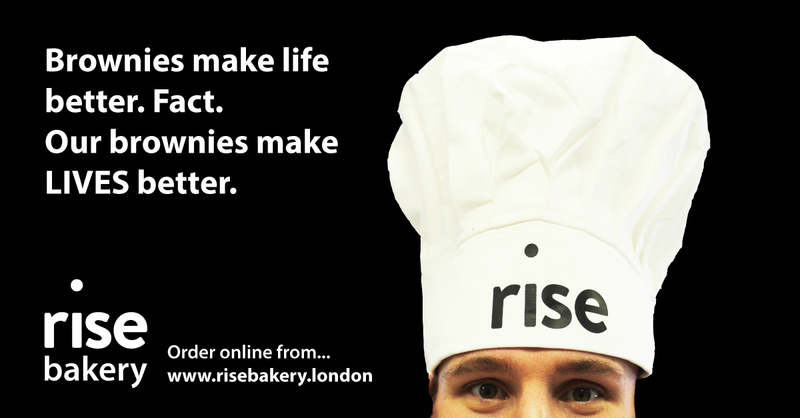 Rise Bakery combines our bakery training scheme with an online bakery business. Rough sleepers and formerly homeless trainees are able to gain skills, experience and a qualification under the supervision of trained chefs producing high quality brownies which can be bought online at www.risebakery.london. The bakery is an extension of the charity’s award-winning Catering Trainee Scheme, which has been helping people into work through training for five years.